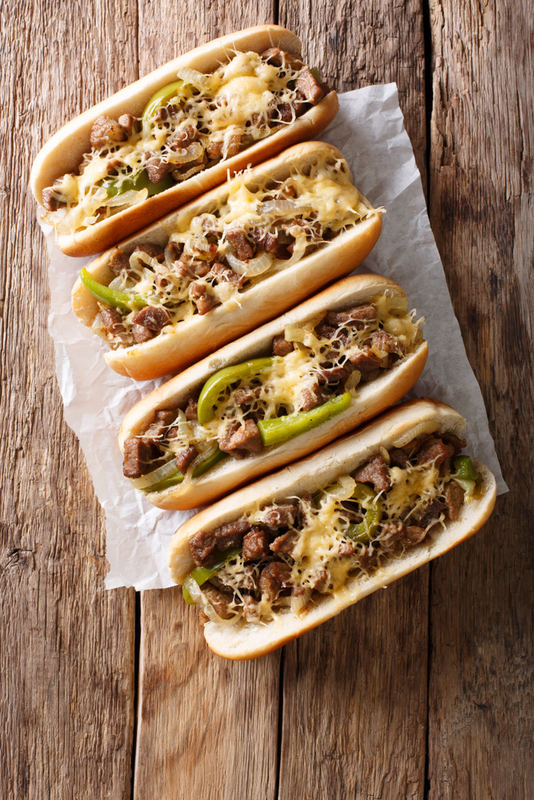 Famous Crockpot Philly Cheesesteak Sandwiches, They're BURSTING With Flavor! When it comes to sandwiches, Philly Cheesesteaks are a bonafide legend. That thinly sliced, sauteed rib eye beef and melted cheese on a long, flavorful roll is simply irresistible! However, very few restaurants give the iconic sandwich the respect it deserves. Philly Cheesesteak fans are on a constant quest for a delicious and convenient solution. After years of searching for a way to satisfy my Philly Cheesesteak cravings, I finally found the winner. Slow Cooker Philly Cheesesteak Sandwiches are scrumptious AND hassle-free! So who invented the legendary Philly Cheesesteak Sandwich? According to Philadelphia’s official tourism site, a hot dog vendor in south Philadelphia named Pat Olivieri invented it in the 1930s. Hundreds of thousands of Facebook users around the world have shared this Slow Cooker Philly Cheesesteak Sandwiches recipe — and they can’t stop praising it. When you take your first bite, you’ll see why home cooks make this recipe more than once a week. Slow Cooker Philly Cheesesteak Sandwiches will satisfy the pickiest of eaters, making it the ultimate family-friendly dish. Common toppings for Philly Cheesesteaks include fried onions, hot or sweet peppers, sautéed mushrooms, lettuce, tomato, mayonnaise, and ketchup — so get creative! Spoon meat mixture onto toasted buns, top with cheese. You can then put the sandwiches on a baking sheet and bake an additional few minutes to melt the cheese and toast the sandwich. Customize with toppings of your choice.